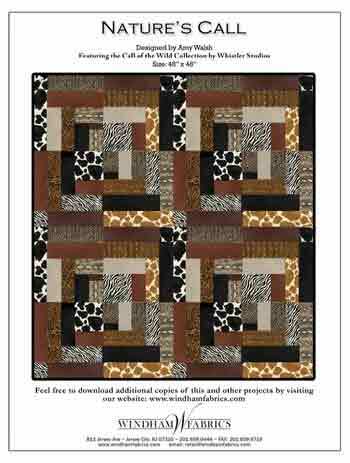 Free download from Windham Fabrics featuring Call of the Wild fabrics. and down load it for printing. Please don't order this from here. It is not in stock at Unique Spool, just through Windham Fabrics.